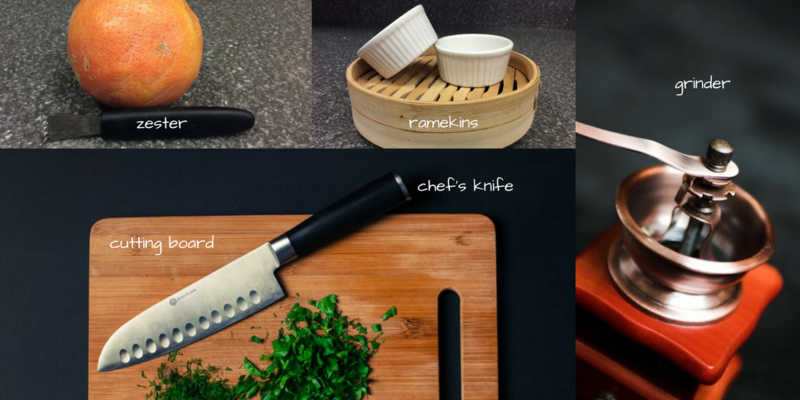 Gift Ideas for the Kitchen Queen or King! A grinder – versatile kitchen gadget for grinding flavorful spices, grains, and, of course, coffee! Nice cutting board -- a durable, easy to clean cutting board is essential in any kitchen and can be found in any kitchen supply store. Use it whenever cutting with sharp knives, such as the chef's knife. Ramekins-- these multi-purpose dishes can serve as bakingware for mini bread puddings all the way to holding butter or a soupy side dish. They are also great for portion control, and it doesn't hurt that they are stylish too and come in an array of colors! Place in a decorative container and attach the recipe to share – it may become a new holiday fave! Here’s to eating well this holiday season!